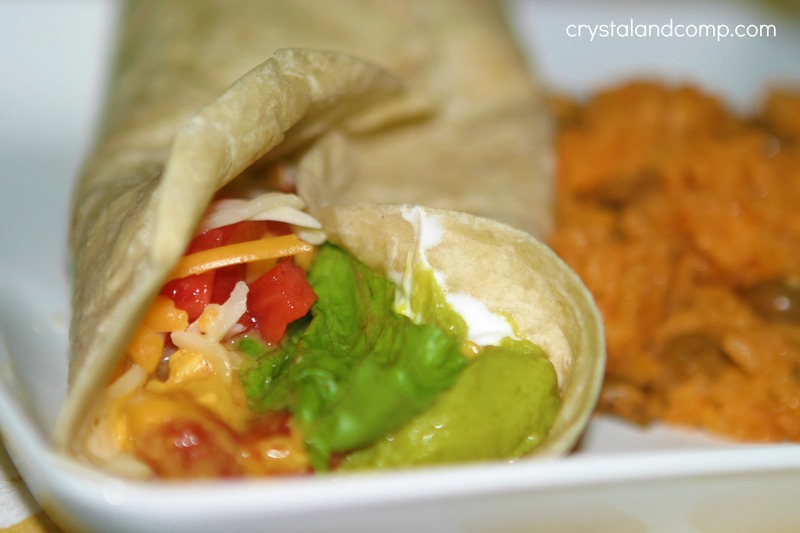 I love using my crockpot- especially in the summertime when it is 103 degrees in Texas. I love throwing chicken in the crockpot frozen. It is empowering. Make sure you check out all of my easy recipes for more meal planning ideas. This is an excellent dump and go recipe. 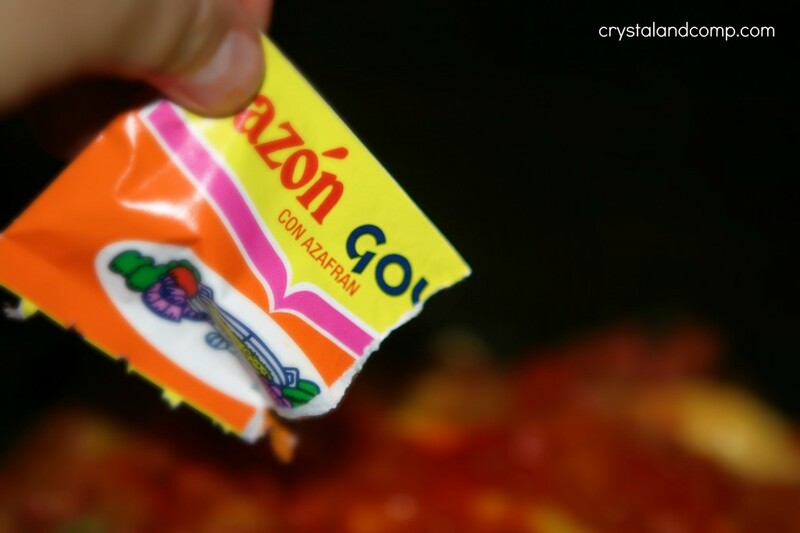 If you do not have Sazon and Adobo, just use a packet of taco seasoning. I made this in my 6 qt., oval, crockpot. Place 5-6 chicken breasts in your crockpot. I threw them in there frozen. Pour the can of soup and the Rotel over the chicken. Do a couple of shakes of Adobo seasoning over the top of the soup mixture evenly. 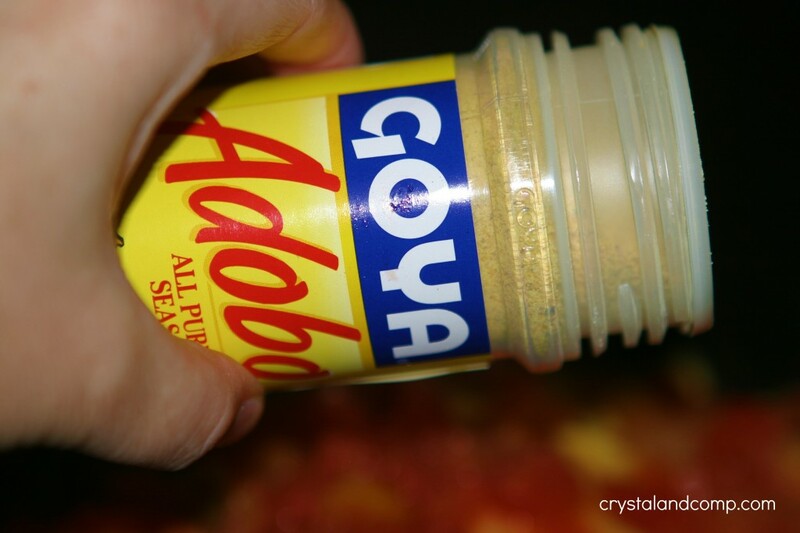 Adobo is a Latin All Purpose Seasoning that is very popular in many Puerto Rican dishes. Evenly add a packet of Sazon over the soup mixture. Pop a lid on it and cook on high for 4-6 hours (I did 6 hours) or on low for 8-10 hours. 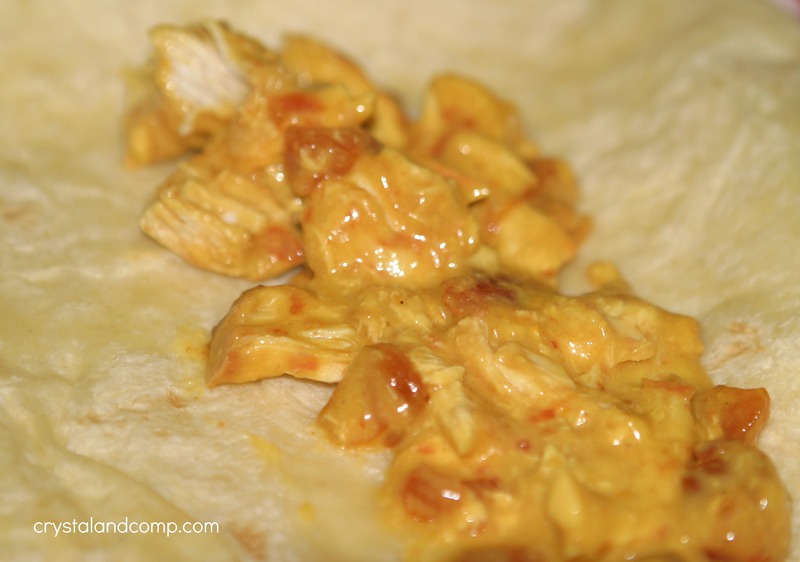 When the chicken is done, shred or chop it up and mix it back into the soup mixture to make a creamy taco filling. I heated up our flour tortillas. This can easily be done in the microwave. I used soft taco sized tortillas. Fill each one with a couple of scoops of filling. Top with lettuce (I used bagged salad- keep it easy). Top with some tomatoes and cheese and whatever else you like. Fold it up and enjoy! We had Puerto Rican Rice with it. As promised, that recipe is coming up! 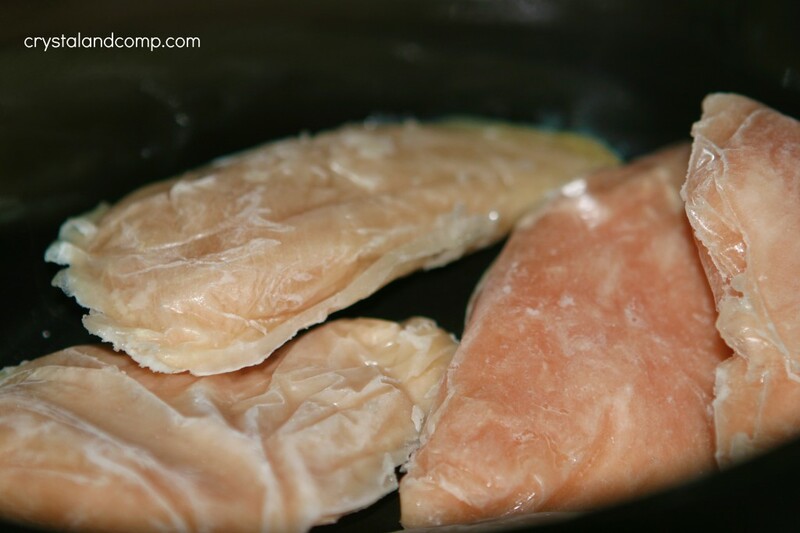 Place 5-6 chicken breasts in your crockpot. I threw them in there frozen. I heated up our flour tortillas. This can easily be done in the microwave. I used soft taco sized tortillas. Fill each one with a couple of scoops of filling. Top with lettuce (I used bagged salad- keep it easy). 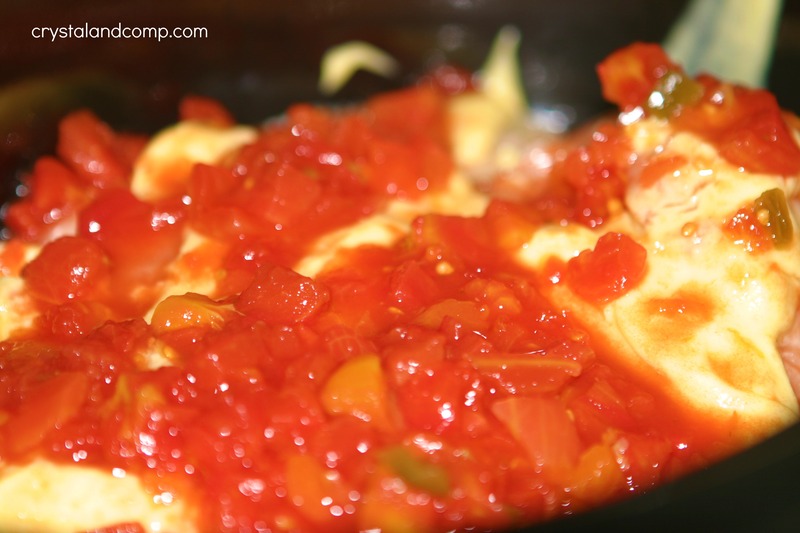 Top with some tomatoes and cheese and whatever else you like. Adobo and Sazon are very popular seasoning in many Puerto Rican dishes. They can be found on the Latin aisle of the grocery store. If you do not have Sazon and Adobo, just use a packet of taco seasoning. I made this in my 6 qt., oval, crockpot. I didn’t know you could put frozen chicken in the crockpot! I love all things Mexican, pinning! That looks so good! It has been in the 100’s in NC, too, and I am almost 100% crockpot cooking now. Tex mex is my fave, too, so this one is going on the menu in the next day or two. Only I don’t have on hand are tomatoes and Sazon. Crockpot cooking is perfect for the summer heat, Jenny. Hope you love these tacos as much as my family did. Good recipe and great photos. I printed this one, it looks awesome and I can’t wait to make it. It’s so easy and looks delicious. Hope you are having a great week end and thank you so much for sharing with Full Plate Thursday. 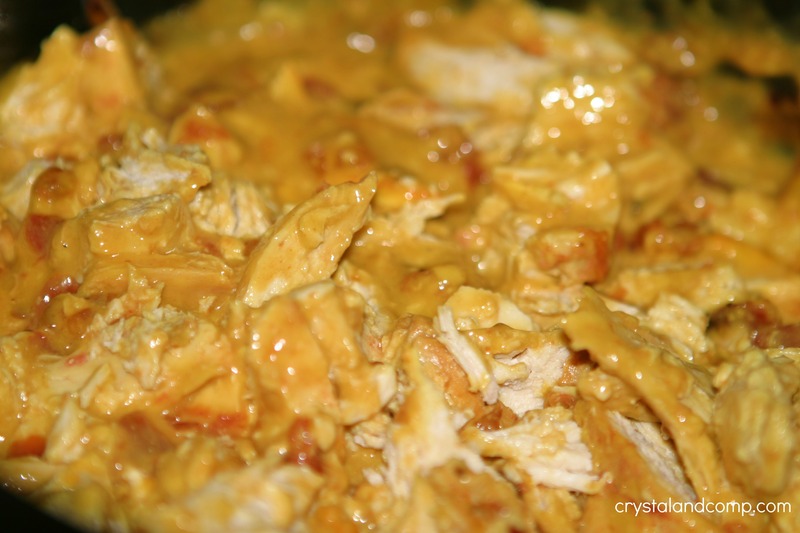 It is so good to see a summery crockpot recipe, cuz they are great to use when it is hot out. Looks like a great recipe, I’ll have to try it! Thanks for linkin up! Can’t wait to see what you’ve made this week! Awesome, Anna. I am so happy it was a hit! Sounds like it is tasty and easy. 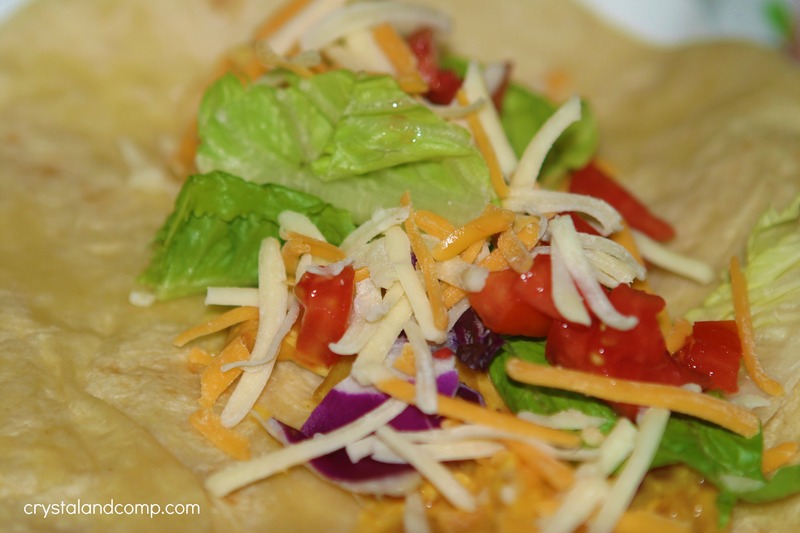 Agatha- these tacos are so easy and delicious! Oh wow, this sounds divine! Thanks for sharing!! They are delicious and so easy. How did you make your rice in the picture above? I have so much trouble getting my mexican rice to taste like it does in resturants!! 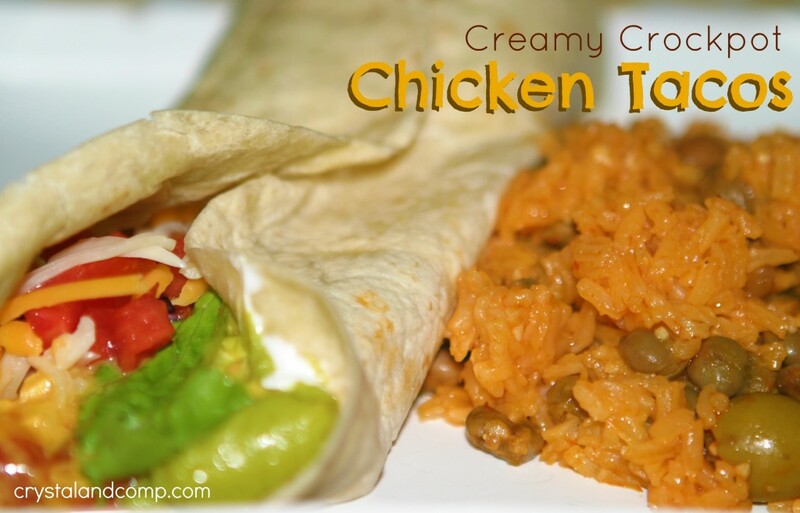 Jo- that is Puerto Rican Rice and here is the recipe: https://crystalandcomp.com/2013/04/easy-recipes-puerto-rican-rice-an-authentic-recipe/.